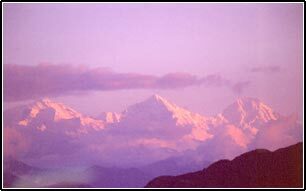 For most people Nepal is just THE trekking destination. But if you are not into trekking why go there? There is no place on earth, where culture is more versatile, where landscape is more diverse, where colours are more intense, and where religion is more dominant than in Nepal. But above all, this small landlocked country is home of eight of the 14 highest mountains in the world and not only because of this fact referred to as the Abode of the Gods. On the other hand, it also offers dense jungles on the southern border to India, where in former times British and Nepalese Aristocrats held their safaris, hunting rhinos and tigers. This has been stopped luckily and today you can still enjoy the sight of these beautiful rare animals in their natural habitat. "Each of us has to discover his own path - of that I am sure. Some paths will be spectacular and others peaceful and quiet - who is to say which is the most important?" That's how Sir Edmund Hillary put it in his autobiography and it could be true for YOU! Nepal holds a path for everyone, the extreme mountain climber, the serious trekker, the earnest hiker and the one, who is seeking peace in various religions, the one who is enjoying the warmth, the smiles, the happiness of people. I promise you, once you have been here, you get addicted! Bhutan - a forgotten Country? Bhutan, this small landlocked country, just some 300 km long, is squeezed in between China and India. From the towering Himalaya range in the North, with Jhomolhari, the sacred Bhutanese Mountain, to the foothills and plains in the South, it stretches only 150 km. It has been long agreed in Bhutan, that the only way to prevent from being swallowed one day from either of these powerful neighbors is by holding up Bhutanese traditions, protecting their unrivalled beautiful and sound environment and by respecting their cultural heritage. If you decide to venture Bhutan you will be aware of this policy in every walks of life: the traditional dress of Bhutanese is one of the distinctive aspects of this country. The architecture of the houses, which makes you feel like being in Switzerland and the towering Dzongs, primarily used as fortresses. It's a strange country, mysterious, traditional and modern at the same time.